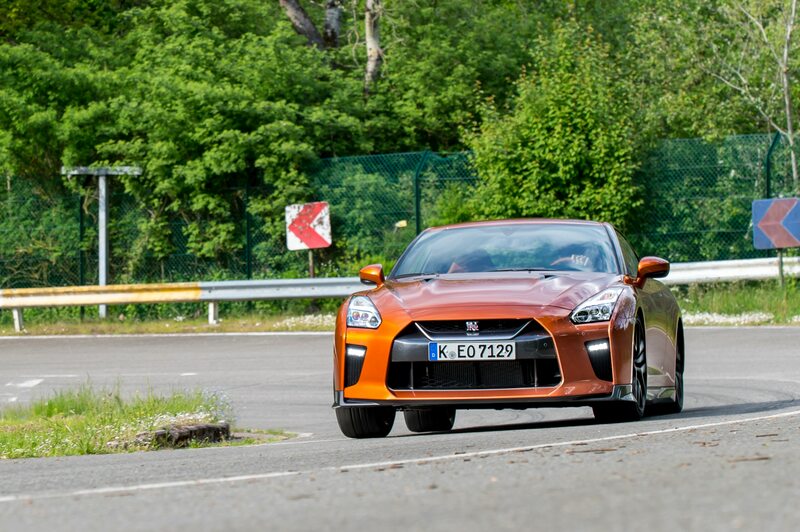 Go, team! 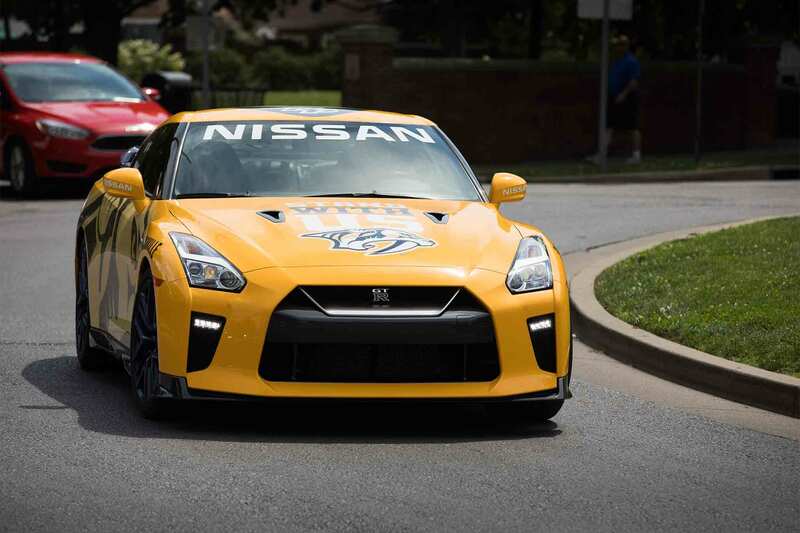 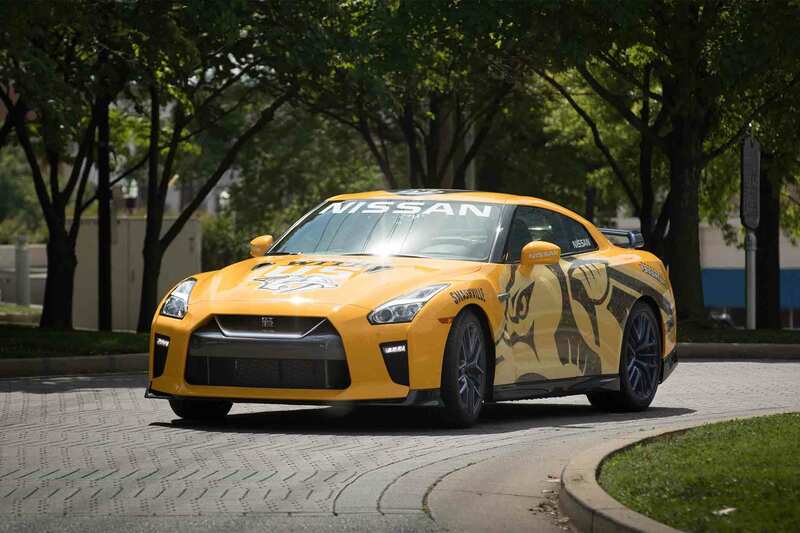 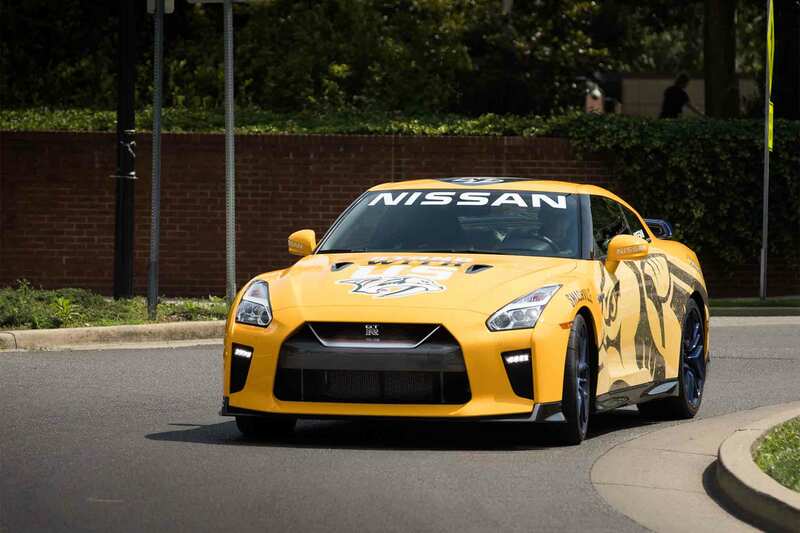 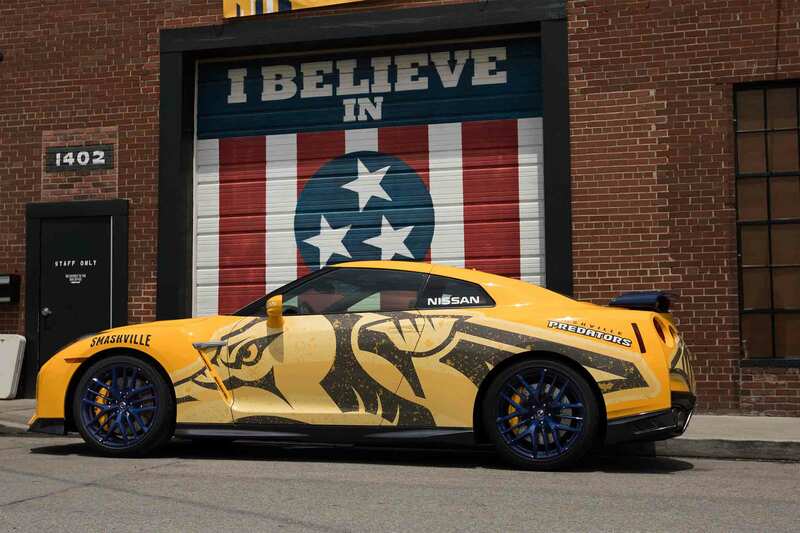 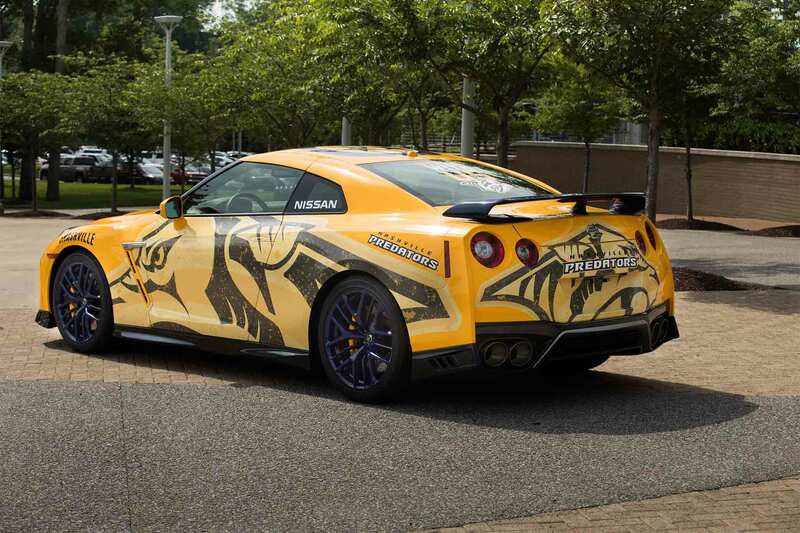 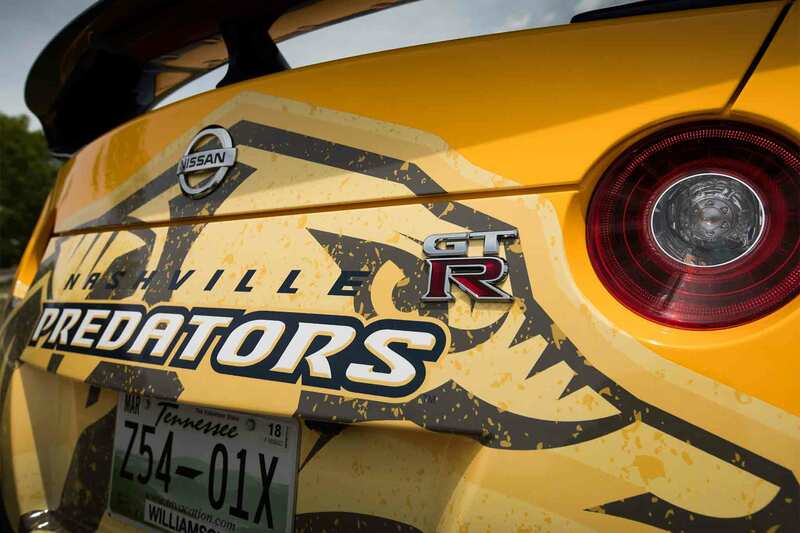 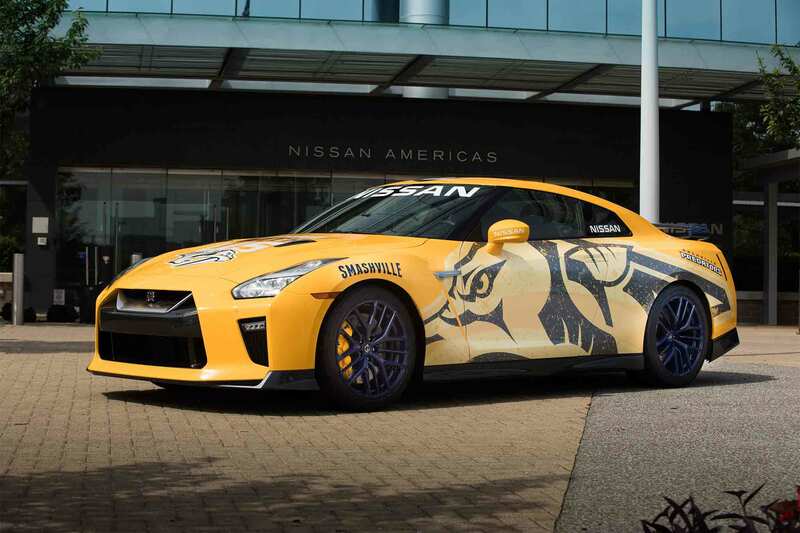 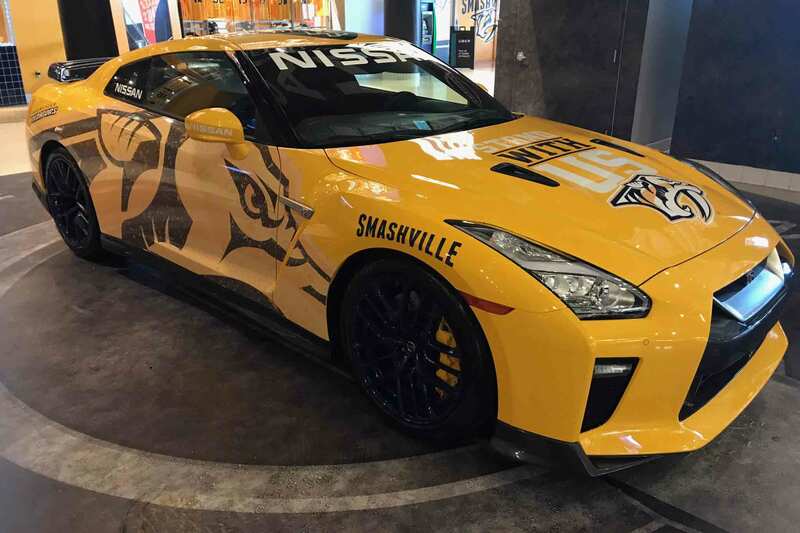 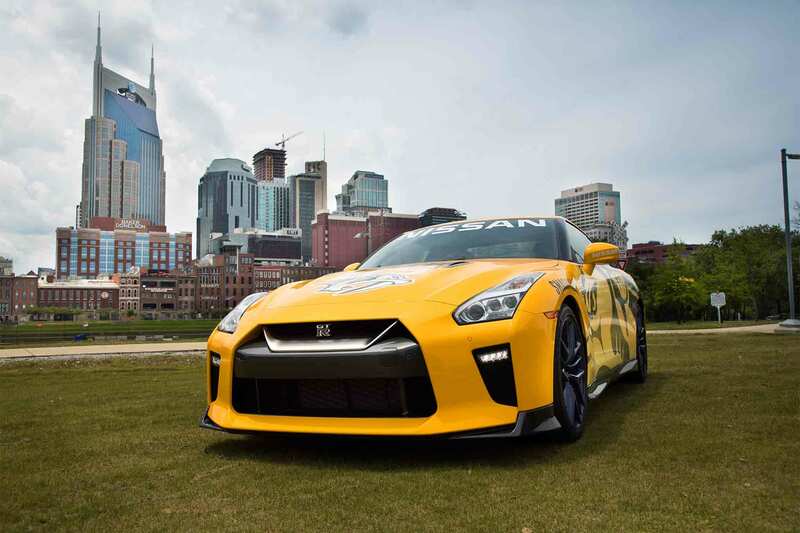 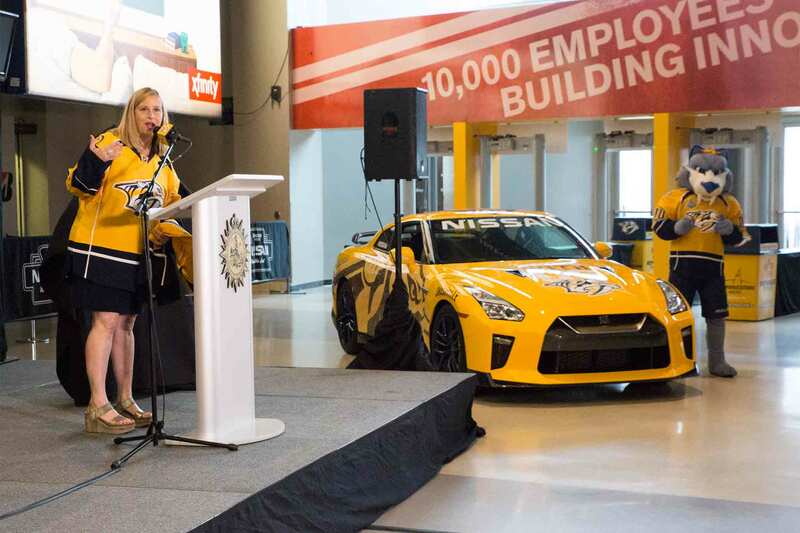 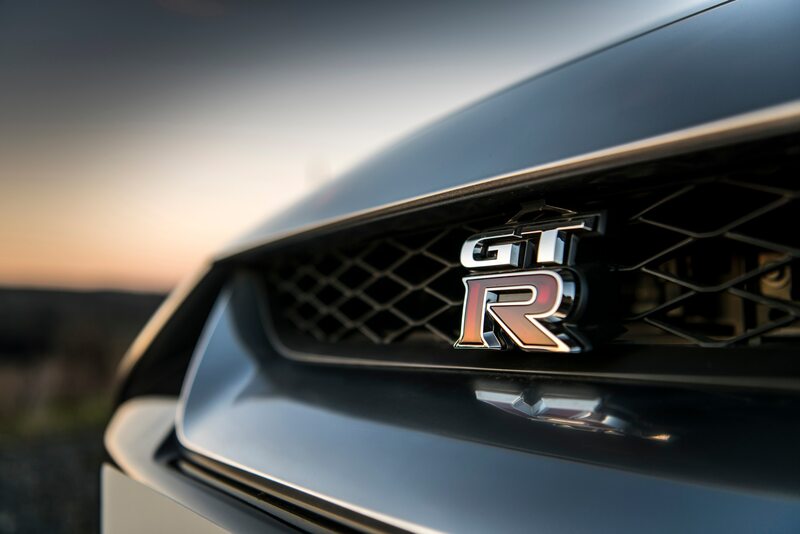 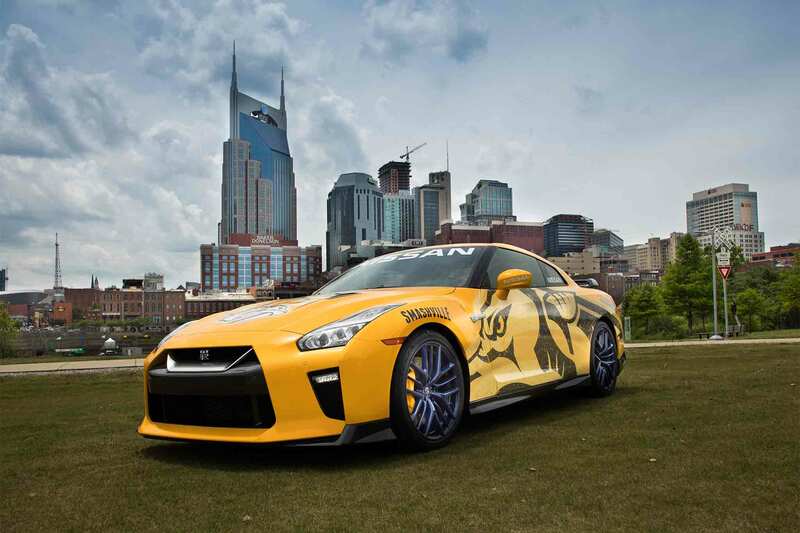 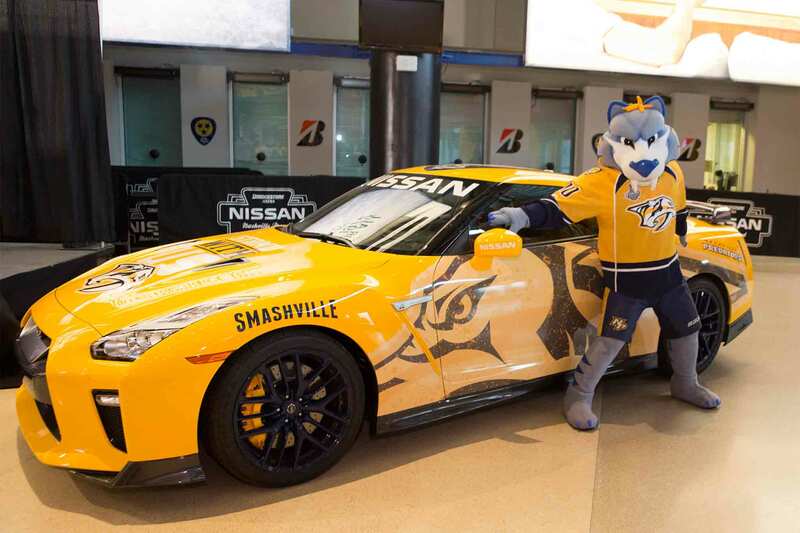 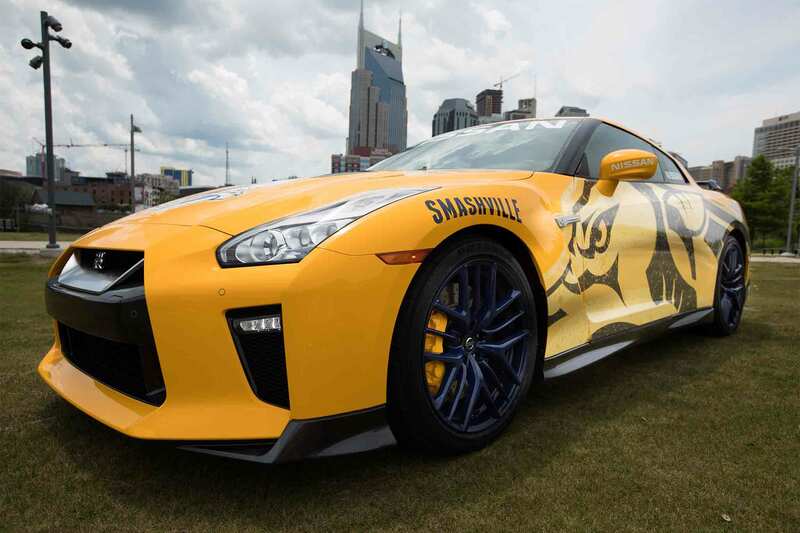 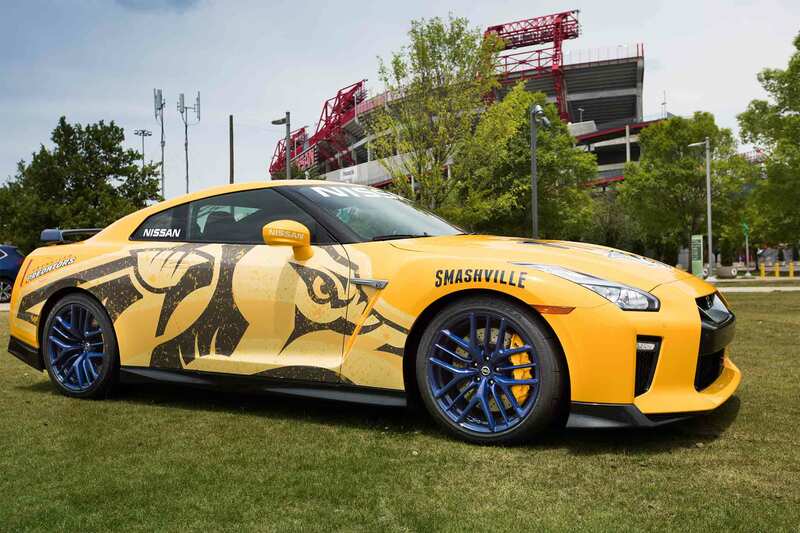 Nissan donated a 2017 GT-R to support its hometown NHL team, the Nashville Predators, and the team’s charitable foundation, which supports a variety of local charities in Tennessee. 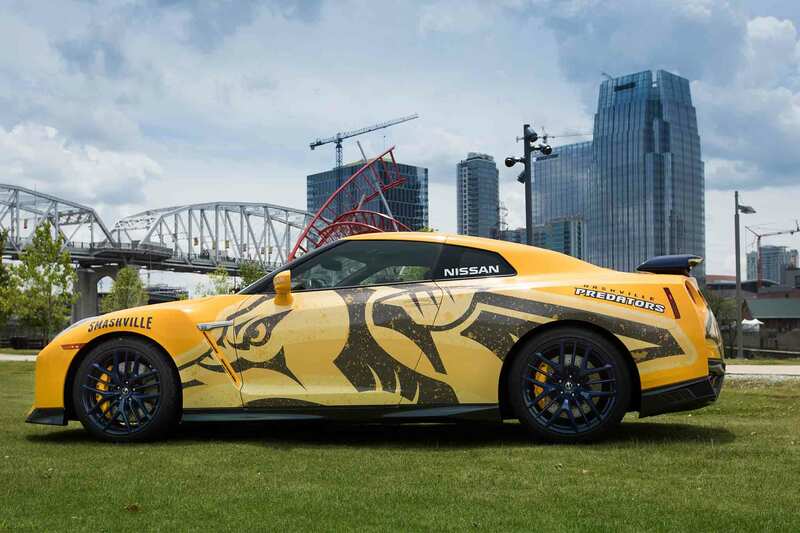 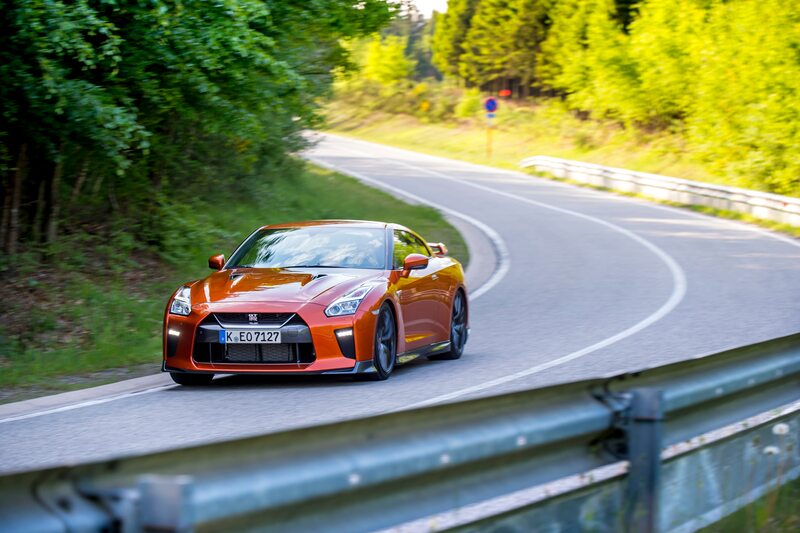 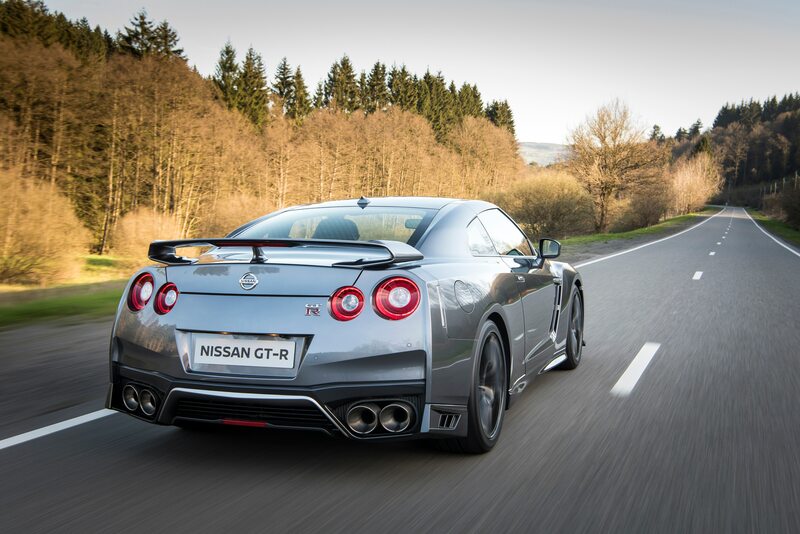 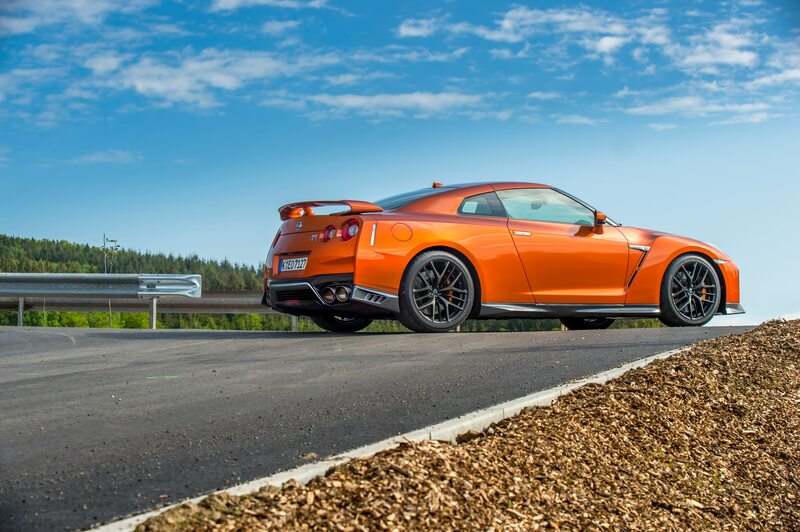 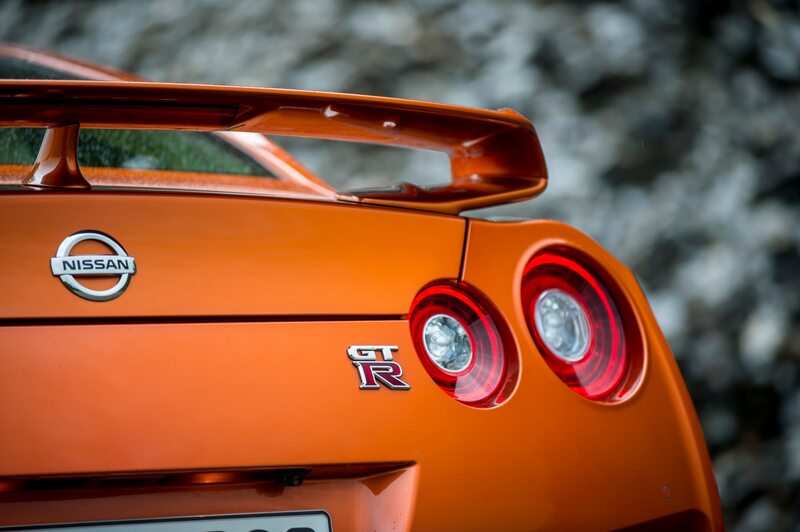 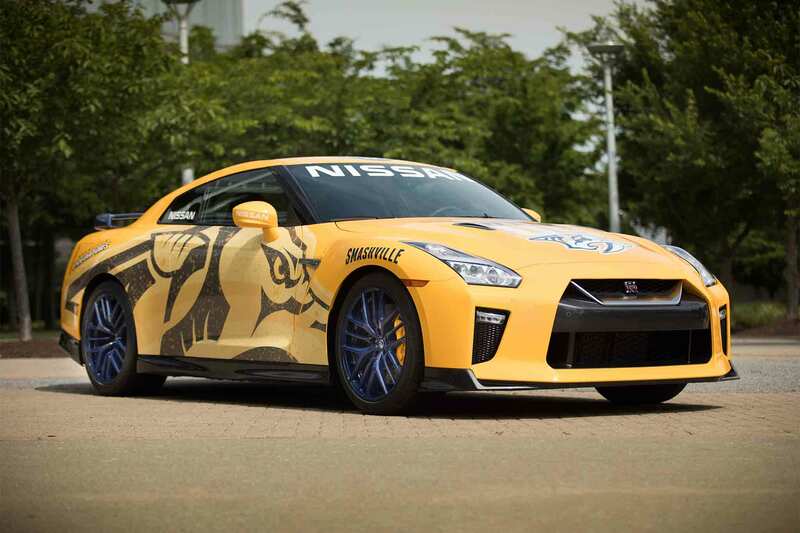 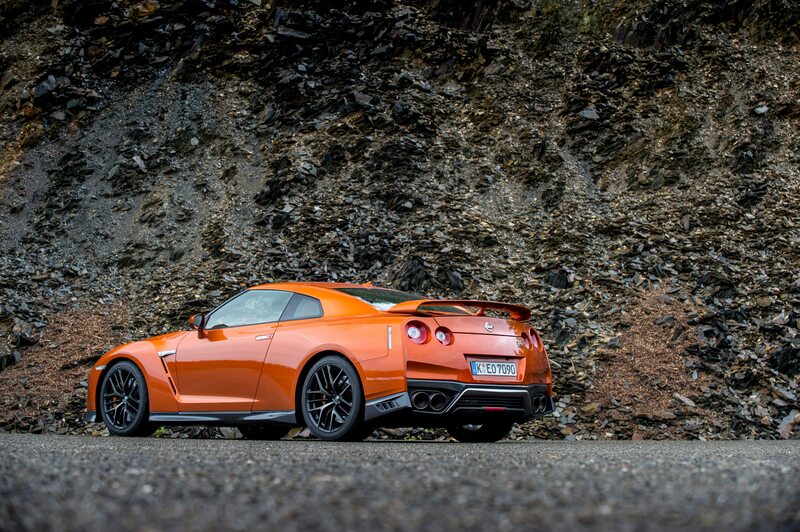 If you want to support a great cause, you can place a bid on the Predzilla GT-R. It’s based on the $109,990 GT-R Premium model and is painted in the NHL team’s official colors and graphics. 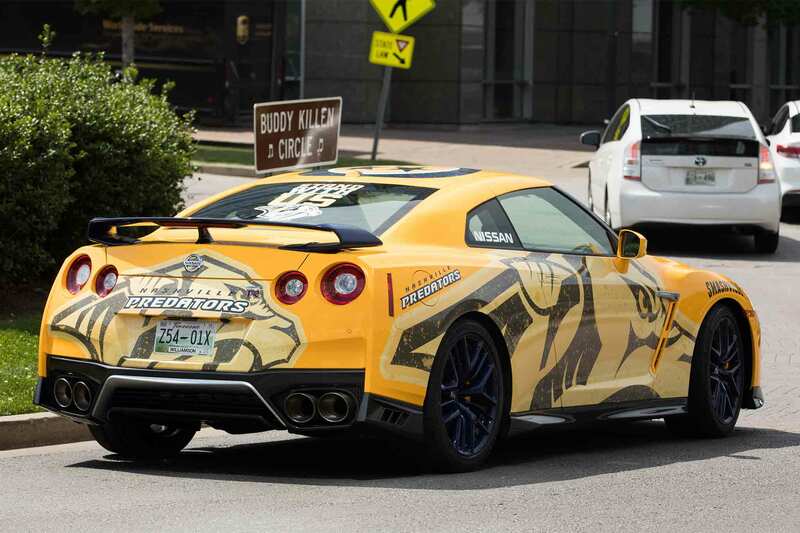 That would be bright yellow with blue wheels and a matching spoiler. 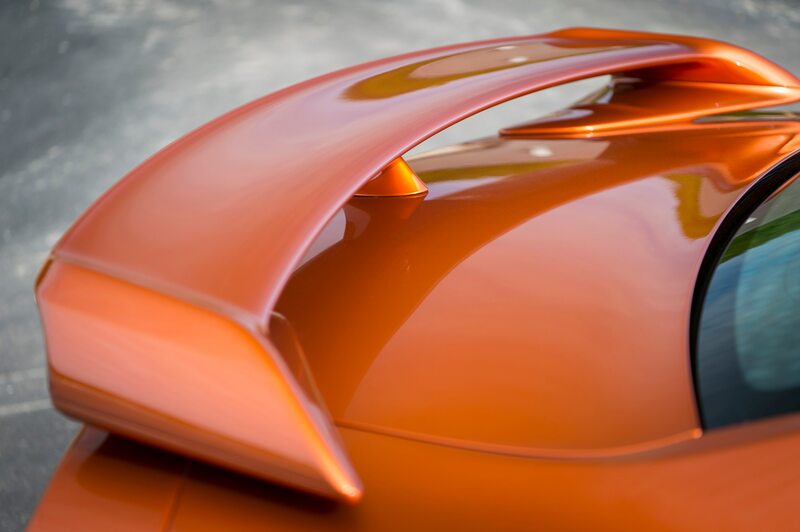 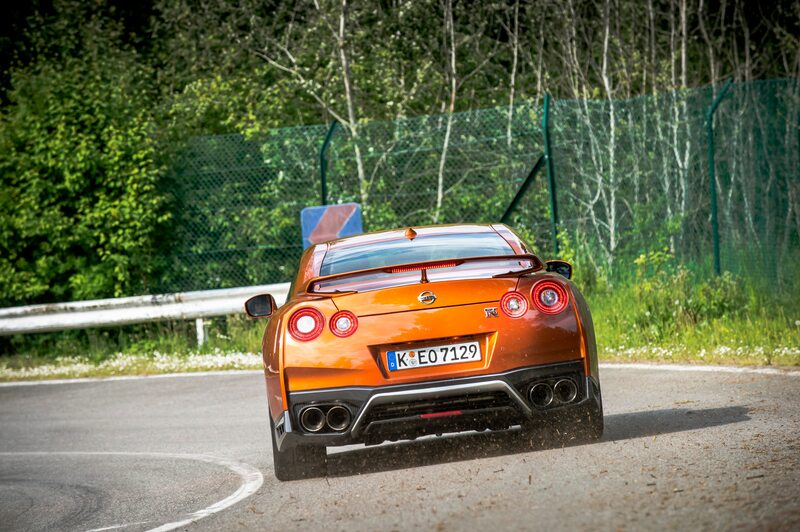 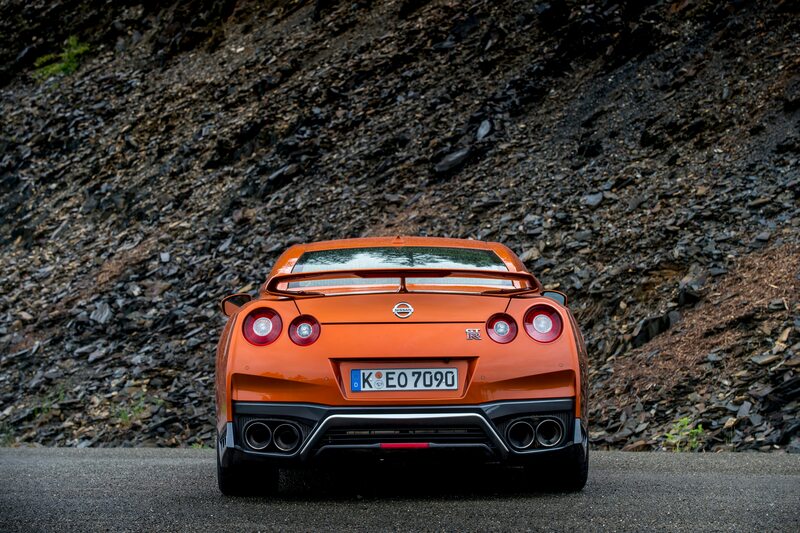 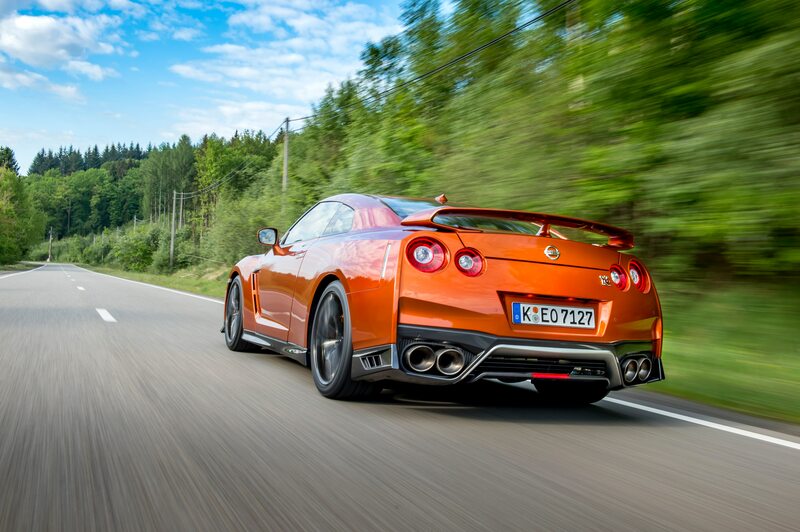 The supercar still packs a twin-turbo 3.8-liter V-6 engine that delivers 565 horsepower with 467 lb-ft of torque. 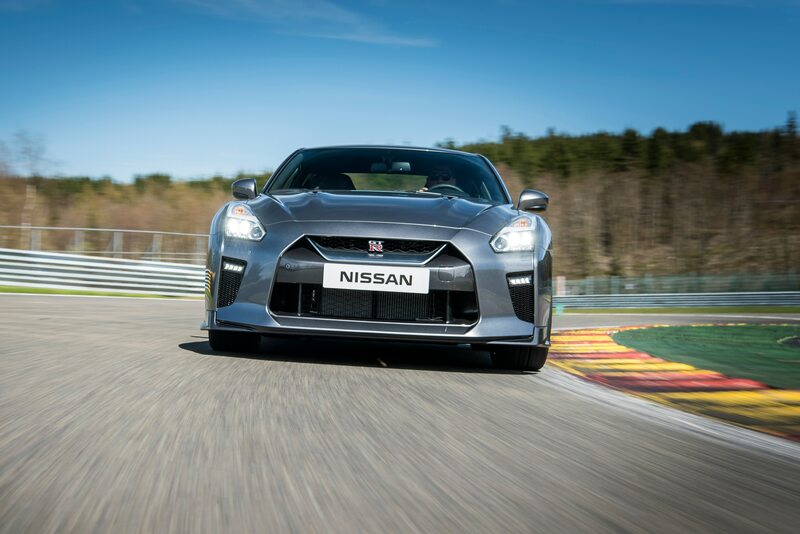 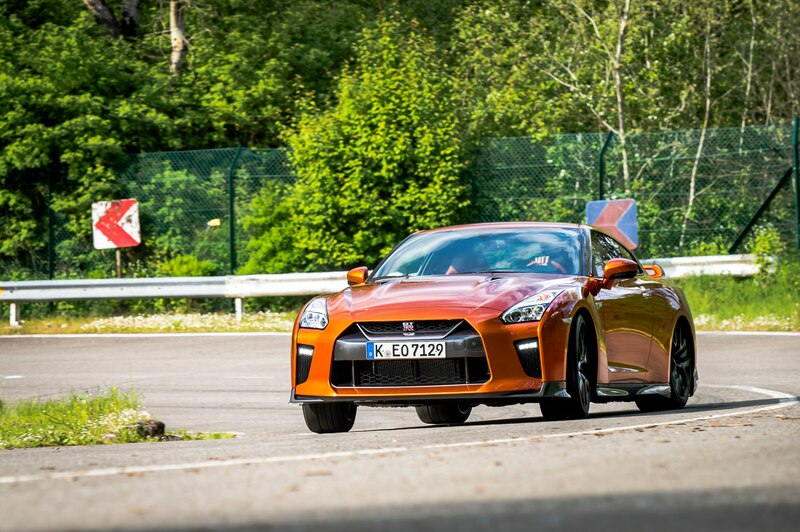 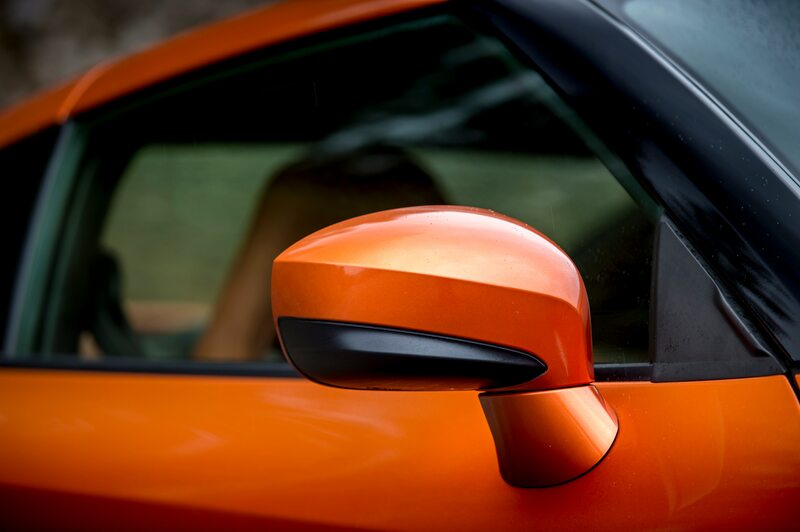 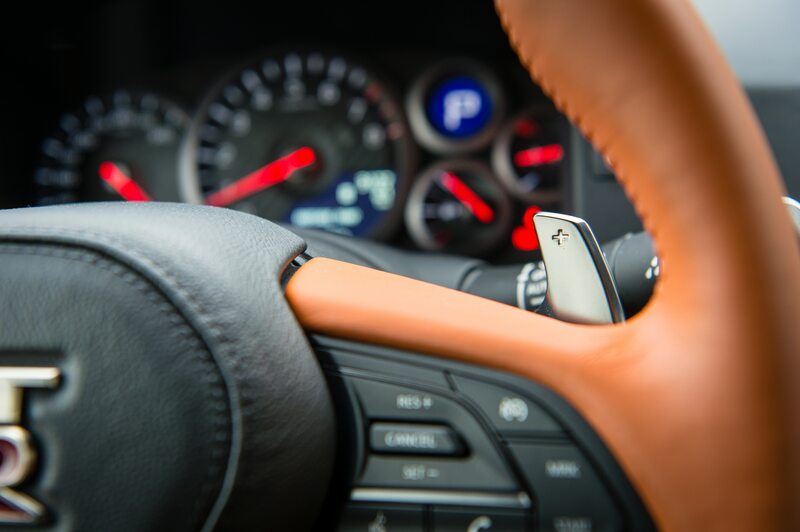 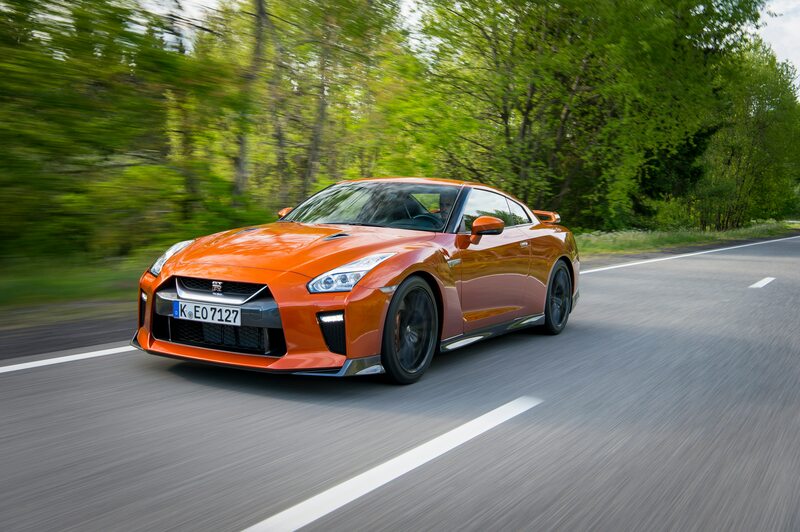 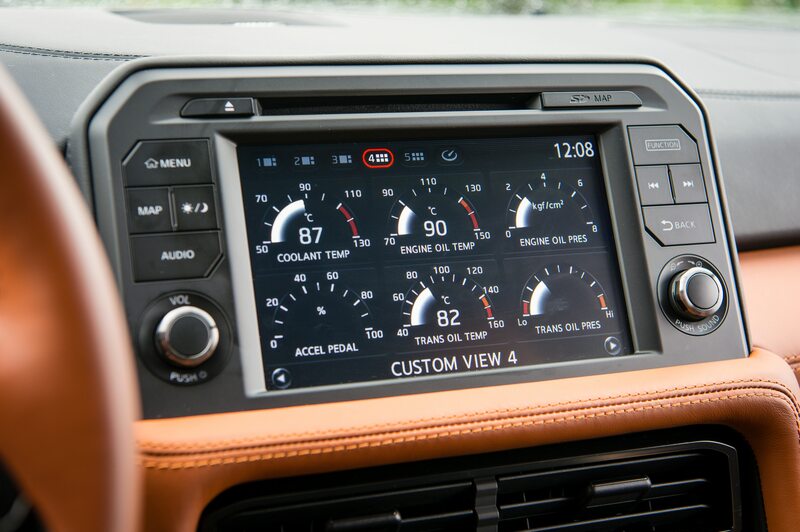 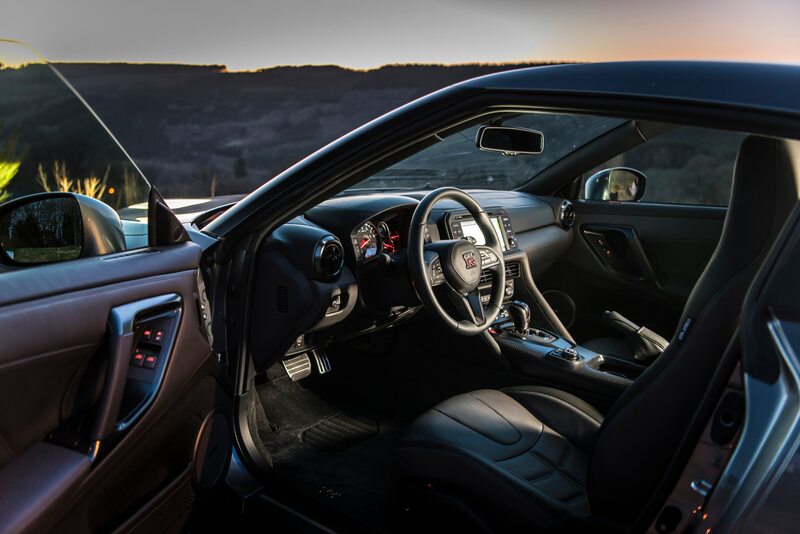 Its engine is mated to a six-speed dual clutch transmission. 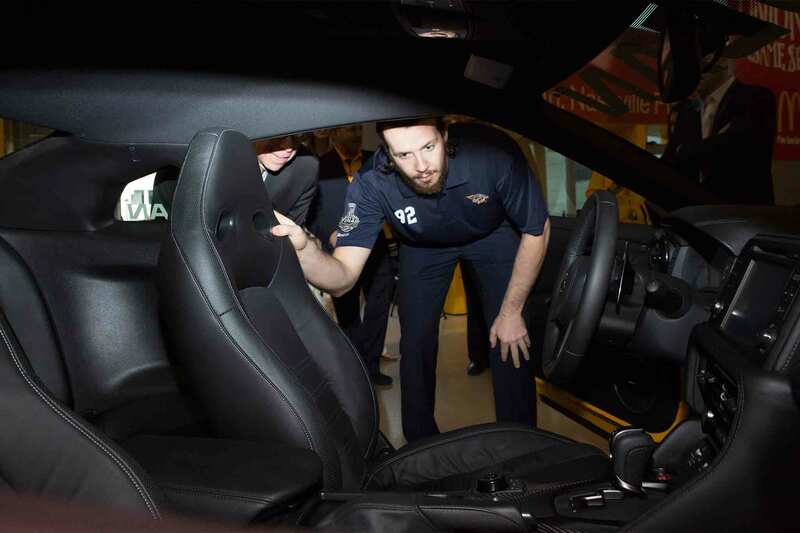 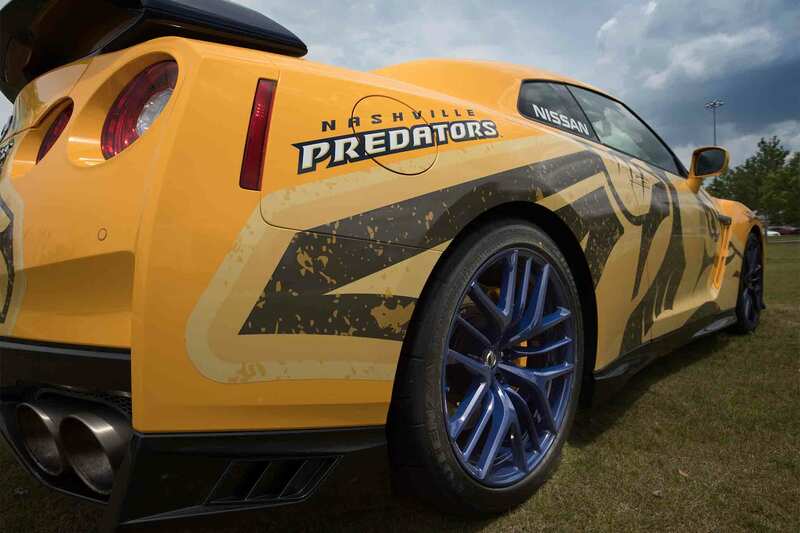 “This supercar is dedicated to Nashville and Predators fans all over the world. 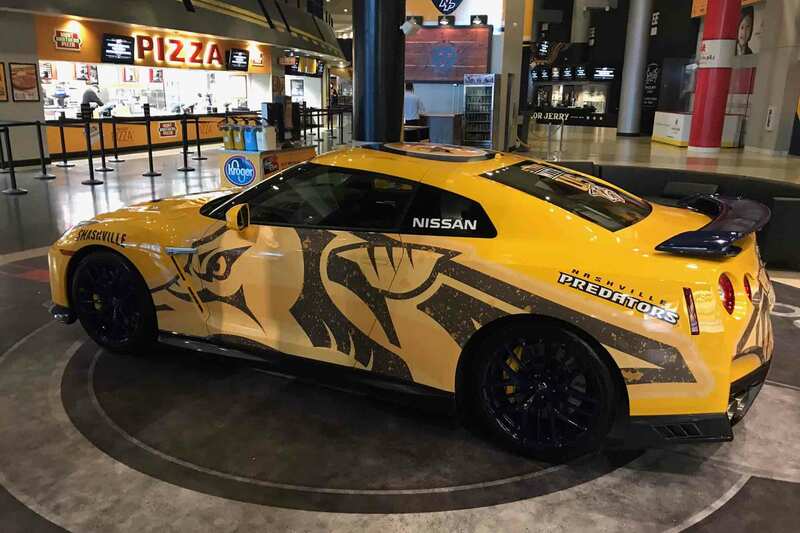 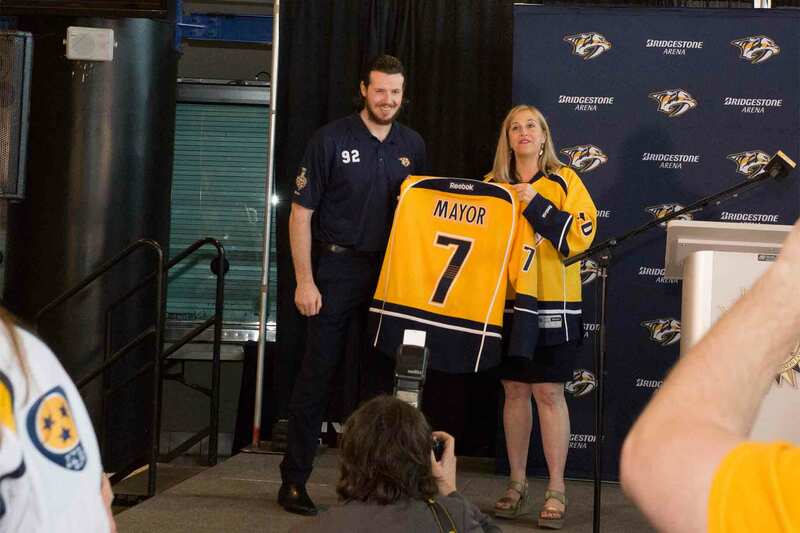 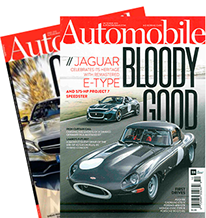 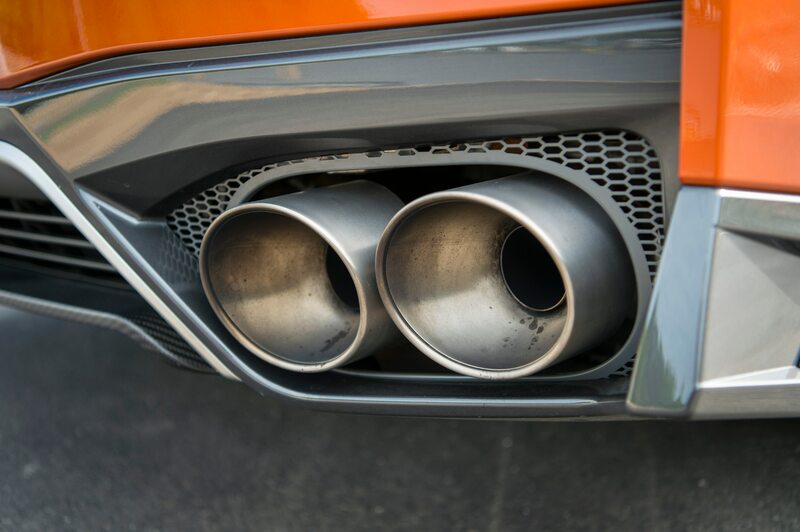 We hope it raises a lot of awareness and funds for the work of the Predators Foundation,” Nissan chief performance officer José Muñoz said in a statement. 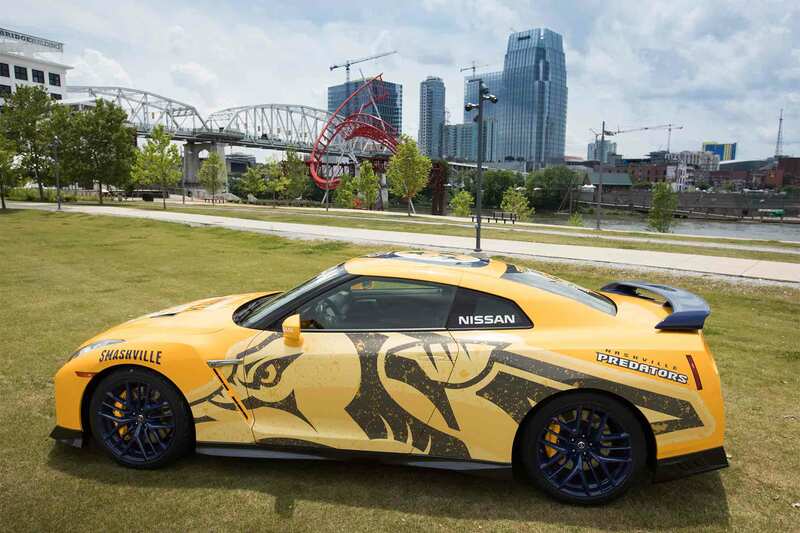 Nissan says fans can either text “Nissan” to 52182 or visit www.Nissan.gesture.com to bid. 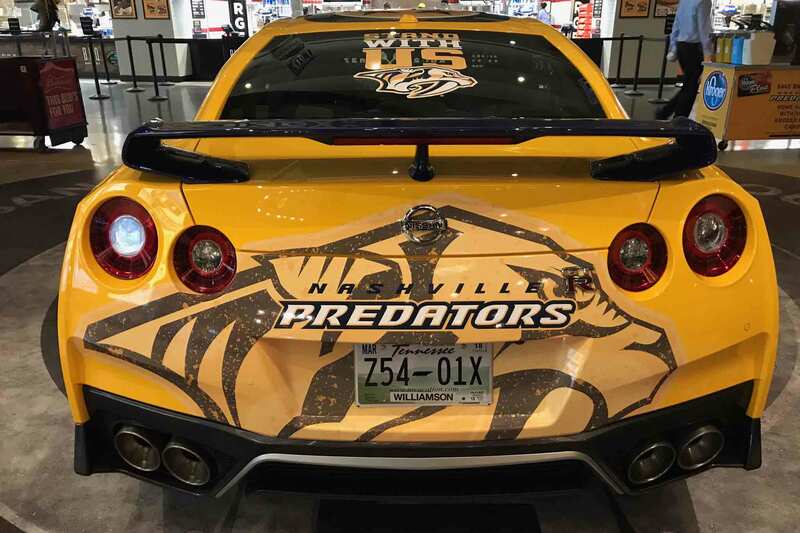 Aside from the hot wheels, the winner also gets two 2017-’18 season tickets and parking pass for the home games.